The Volkswagen Tiguan Allspace does pretty much everything a good family SUV should. It’s stylish, high in quality, massively practical, and easy and relaxing to drive. The thing is, a Skoda Kodiaq does all those jobs to a similar degree (it would, it’s essentially the same car), but costs thousands less than the Allspace. So, make sure you really want the VW badge before signing on the dotted line. Entry-level car is still a really nice, really well-rounded family car. You’ll appreciate the perkier engine, and it’s better for towing. Do you really need 240 horsepower in your seven-seater? Do you?  Interested in buying a Volkswagen Tiguan Allspace? Volkswagen is not a company famed for its radical design. The Tiguan’s styling certainly displays the firm’s usual fondness for conservatism, but it’s a fraction more outlandish than other VW models. With headlight clusters that feature strip-style lighting, a chunky-looking grille, beefy bumpers and plenty of character lines, there’s lots of interesting stuff to look at. The fact the Allspace is significantly bigger than the regular Tiguan also helps give it a shade more on-road presence. 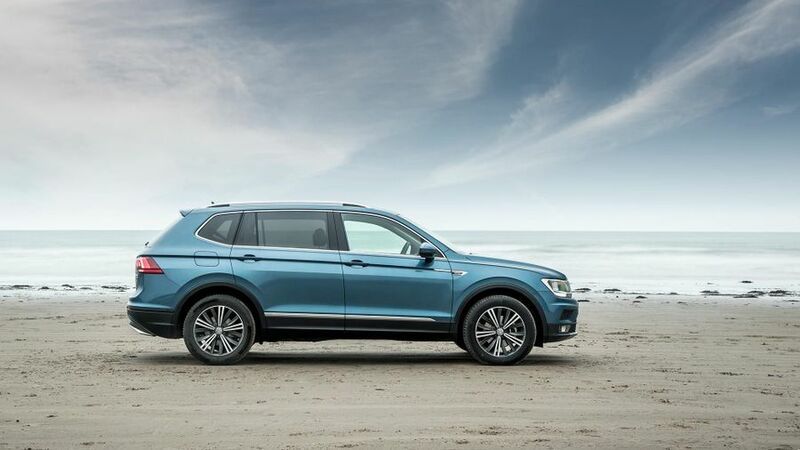 Like with the regular Tiguan, it’s likely the trim level you go for will have a significant effect on how sharp your car looks, because each step up the range will bring a few more styling goodies. Expect alloy wheels on all models, though. You expect a fair slice of quality from any Volkswagen product, and the Tiguan certainly provides enough of it to keep you satisfied. There are plenty of soft-touch materials dotted around the cabin, and although some panels – like a couple in the doors and in the footwells – aren’t of quite such great quality, they feel very solid and hard-wearing, and don’t betray the general feeling of sophistication. Less impressive are the folding picnic tables in the back, which look and feel disappointingly cheap. That said, ergonomics are a definite high-point, thanks to a simple touchscreen infotainment system with sharp graphics and a logical set of menus, and an intuitive, clutter-free dashboard layout. 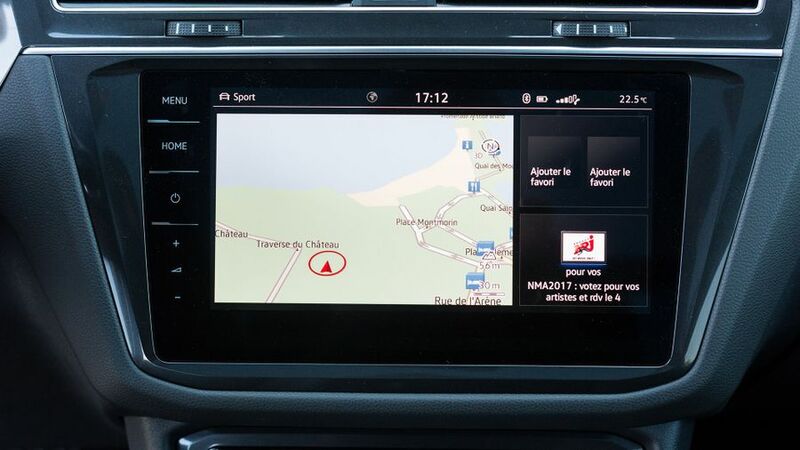 High-end versions also have a large digital information screen instead of conventional dials, which can be configured to display different information. All versions have bags of adjustment for the driving position, and a great view out in all directions. 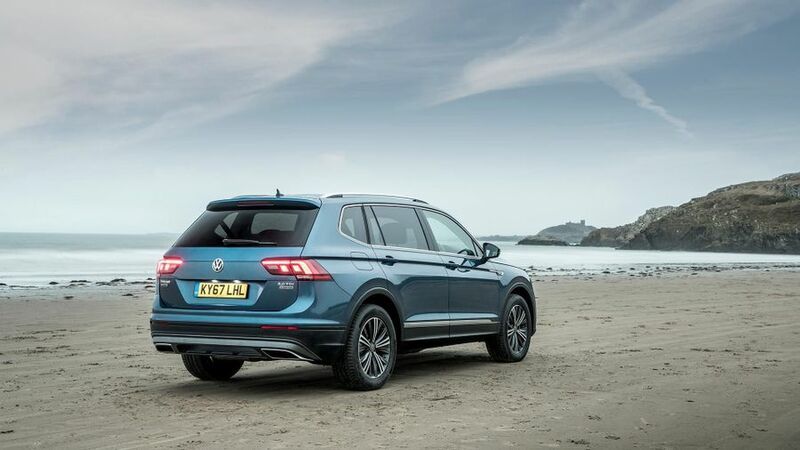 As its name suggests, the whole point of the Allspace is to provide more practicality than the regular Tiguan can muster. Its inflated proportions make it extremely similar in size to the Skoda Kodiaq with which it shares a lot – including the ability to seat seven – so it’s no surprise the two cars are very closely matched in both the space they provide and their versatility. With all the seats in place, the rearmost chairs have just about enough space to accommodate adults, provided those in the middle row agree to shift their sliding bench forward a bit. Even then, though, you wouldn’t want to stay in the third row for anything other than short journeys because headroom is rather tight, although kids should be fine on longer stints. In this format, the boot is still a very reasonable 230 litres in size. That isn’t quite as large as in the Kodiaq, but it is better than many rivals and enough for a good few soft bags. 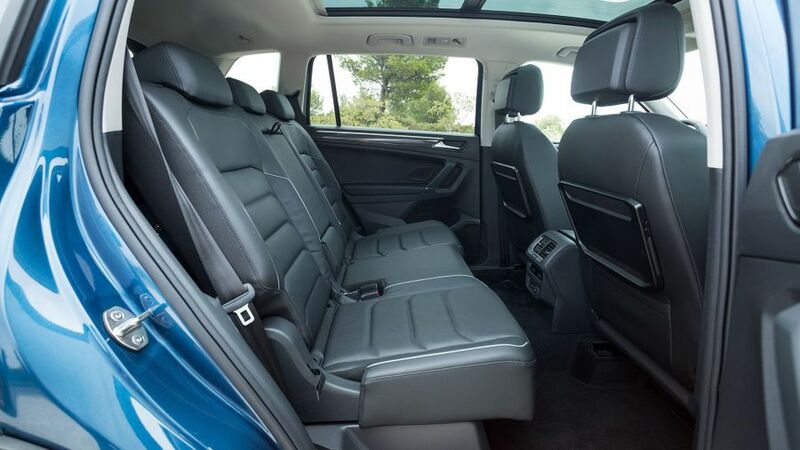 Used as a five seater, the space you get is massive, with even more legroom than in the regular Tiguan, and a very impressive 700 litres of boot space. Folding any of the chairs in the second and third-rows is a complete doddle, too, and dropping the lot of them opens up a properly van-like cargo space that also has the benefit of a flat floor. Towing, which is important to many SUV buyers, will be no problem in the Allspace, either, with the diesel 4x4 models able to haul up to 2.5 tonnes. SUVs – especially seven-seat ones – are most often used as family carry-alls, and that means a comfortable ride is very high on the list of priorities. The Allspace does a pretty decent job, and unsurprisingly, it feels very similar to the regular Tiguan. There’s a slightly firm edge on particularly rutted road surfaces, but it always stays smooth enough to keep you and your brood comfy and relaxed. The handling is generally pretty tidy, too, with plenty of grip, decent body control and nicely weighted steering. 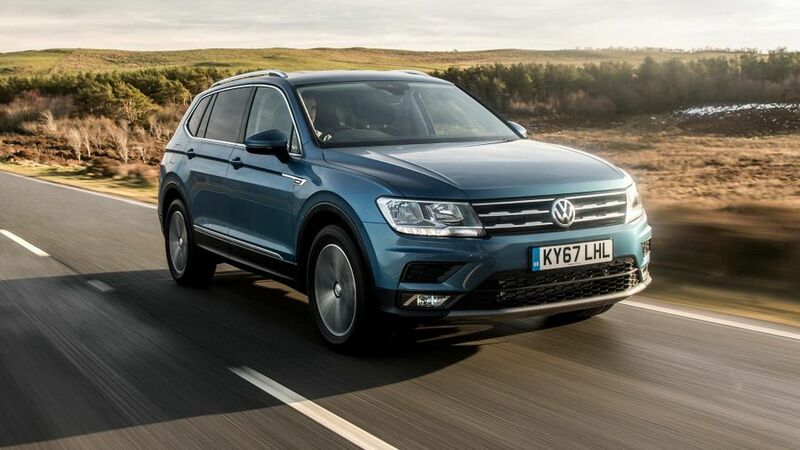 Obviously, versions with four-wheel drive give you better on-road traction, and with a reasonably sophisticated set of off-roading aids thrown in, the Tiguan might also get you a bit further into the countryside than you might expect. We’ve also tried the car on the optional adaptive suspension, which alters its behaviour according to the driving mode you select. You can feel the subtle differences between the modes, but it never really changes the character of the car to any significant degree, certainly not by enough to justify the extra cash you pay. So far, we’ve only had the chance to try a couple of the several engines available. The first of these is the 150 horsepower 2.0-litre diesel that will undoubtedly be the biggest-seller. 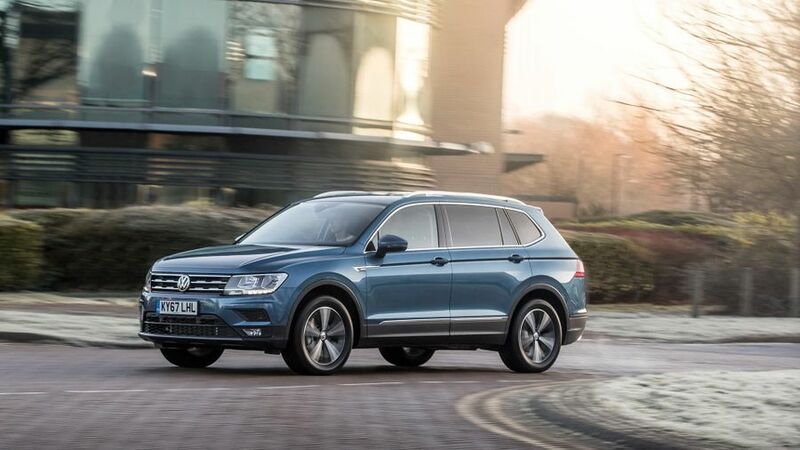 Despite the Tiguan’s hefty body mass, the engine is more than capable of hauling the car around in a reasonably purposeful manner, although it doesn’t quite feel as quick or as muscular as the power output would have you believe. You get a six-speed manual gearbox as standard, but we tried it with the optional seven-speed twin-clutch automatic. It’s smooth enough, but the changes can occasionally feel a little slow and laboured. We’ve also tried the range-topping diesel, another 2.0-litre, but this time with 240 horsepower, mated to the automatic gearbox. It’s a little smoother and quieter than the less powerful version, primarily due to the fact it doesn’t have to work quite so hard to achieve equivalent performance. Ultimately, though, it doesn’t feel all that much sprightlier, certainly not by as much as the power output would suggest. The other engine we’ve tried is the entry-level petrol, a 150 horsepower 1.4 turbo. It doesn’t get as overwhelmed by the car’s mass as you might think, and it’s capable of pulling you along at a reasonably decent rate without feeling too strained. That’s with nobody else on board, though. Fill the car up with people and luggage, and we reckon you’ll appreciate the extra low-down muscle of the entry-level diesel. Compare the Allspace with most of its seven-seat SUV competitors on price – cars such as the Hyundai Santa Fe, Kia Sorento and Land Rover Discovery Sport – and it looks reasonably competitive on price considering the desirability of its badge. The one fly in the Allspace’s ointment, though, comes from a very familiar source. The Skoda Kodiaq, which is mechanically very, very similar to the VW, costs thousands less to buy, and aside from the badge and a couple of pieces of slightly spanglier interior trim, it’s very difficult to see what the extra money is giving you. The two are more closely matched on fuel economy and CO2 figures, though again, the Skoda generally has a marginal lead when compared version-for-version. Where we think the Allspace will have a trump card to play, though, is on resale values. Those of the Kodiaq are impressively high, and with the Allspace’s desirable badge and image, we can see it being even stronger on that score. If you own the previous generation of Tiguan, Warranty Direct’s Reliability Index makes for some pretty grim reading. The model scores rather poorly in the study, and Volkswagen doesn’t figure particularly highly in the manufacturer standings either. We can only hope this version, based on VW’s latest architecture, fares a bit better when it comes to mechanical dependability. Even the three-year/60,000-mile warranty isn’t particularly generous compared with what some rival manufacturers are offering. 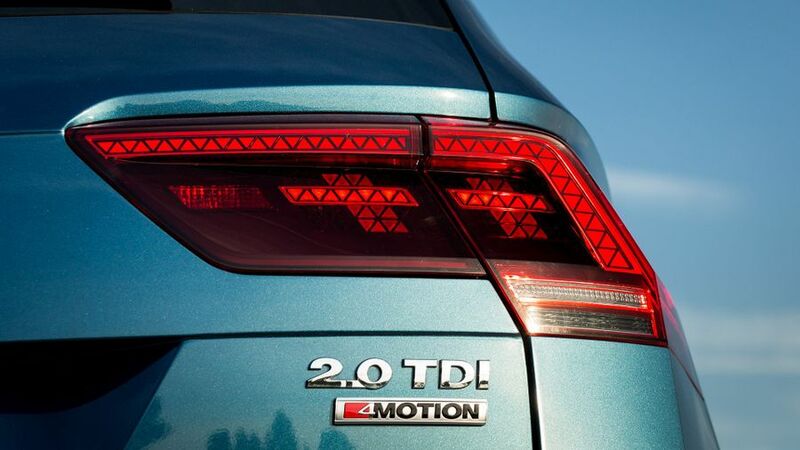 The regular Tiguan has been crash-tested by Euro NCAP, and it achieve a full five-star rating. We can’t see any reason why the Allspace wouldn’t follow suit, especially when all versions get pretty much the same amount of safety kit, which is impressively generous. The standard roster includes seven airbags, a variety of traction aids, automatic high-beam headlights, lane assist, adaptive cruise control and automatic emergency braking. You also get a system that urges you to take a break if it thinks you’re getting too tired. The options list also includes more driver assistance systems, such as a head-up display, a self-parking function and a system that takes care of the steering when you’re reversing with a trailer. There are three trim levels available, SE Nav, SEL and R-Line. To be honest, there isn’t much you’d want that SE Nav doesn’t give you as standard, because the list includes automatic lights and wipers, four powered windows, three-zone climate control, remote locking, a powered tailgate and an eight-speaker stereo system that brings together DAB, USBs, Bluetooth, AppleCarplay/Android Auto and sat-nav. Upgrading to SEL trim earns you the digital dials, a panoramic sunroof, keyless entry, a hands-free tailgate and heated front seats. Aside from a variety of visual upgrades inside and out, the R-Line doesn’t really give you anything more in the way of luxury kit. We do think it’s a little bit stingy that even the range-topping car doesn’t give you leather upholstery as standard, because plenty of folk will want it. Because you like the rugged style of an SUV, the practicality of seven seats, and the desirability of a Volkswagen badge. 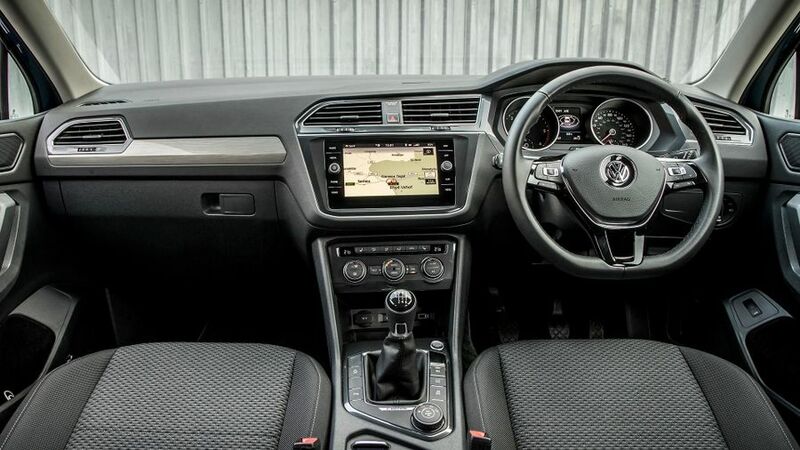 The Tiguan Allspace’s relaxed driving manners and practical, high-class cabin make it an excellent all-rounder that owners will simply love. The only trouble is that you get most of what’s good about the Allspace from the Skoda Kodiaq, which costs thousands less to buy.